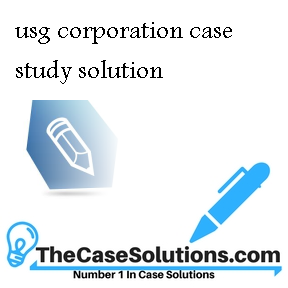 USG was formed in 1901 due to the consolidation of thirty five (35) gypsum companies. It was able to control 50% of the market and compete well in the industry. The large size of the organization gave it a competitive edge over the others and it was able to take advantage of economies of scale.It continued to expand both through vertical integration and product diversification. It grew many folds from 1940s to 1980s by acquisition and expansion. It soon became a diverse group with four major segments including Gypsum, Interior systems, Wood fiber and other products. It started to become a market in each of its segment either globally or nationally. In 1984, it experienced massive growth in sales and profits however, Edward Duffy, the CEO at that time started the program to restructure the organization for a long-term decentralization process. In the very next year, he retired with restructuring still in progress and all responsibilities were handed over to Robert Day. He led the company with satisfactory performance however, it soon started to attract hostile takeover parties. USG had been a targeted for takeover plans for some time now. It has diversified profitable segments with a steady growth in sales over the years. It has accomplished an average growth of 16% in last five years. Each of the segments has gained a strong position in their primary markets. It is the Global market leader in Gypsum and Wood fiber while local leader in interior systems. It is the largest manufacturer of bathtub and showers in the US market. The integrated system has helped USG gain economies of scale. It has also led the market with technology, design and innovation with some patents associated with its products.It also has positive forecasted cash flows. According to an analyst from Merril Lynch, the shares of USG were undervalued and could reach a peak price in $60 per share however, this did not happen due to the market crash soon after. The performance of Robert in the two years period from 1985 to 1987 seems satisfactory. USG recorded highest net profits in this period but still it did not match the growth in 1984. The overall performance ratio has fallen including net profit from 8.2% to 7% in 1986 and 1987 respectively. Stock prices were also down by 22% to $29.13 per share and long-term debts were increased.On the positive side, he was at least able to keep the company profitable even with restructuring process in place. It seems like restructuring was not favorable for the company as the data shows a decrease in growth and a decline in profitability ratios as well. In 1987, Deserts partners were able to acquire 9.83% shares at an average price of $40 and announced publicly about the shareholding in USG. It created a wave in the market and share prices increased by $3 to reach a closing of $54.5 on that day. Desert Partners have a history of acquiring sizable portions and selling it off for a profit. Desert partner seems to be convinced that the shares of USG were undervalued and they can profit from it. They have approached shareholders and have offered them $42 per share in orderto gain majority of shares in the company. They also approached senior management of USG with better option of $50 per share in cash for 72% shares while 28% shares were offered to be bought in exchange of debentures. Desert partners also announced a proxy contest for the annual meeting. It also suggested six directors for the board to replace existing ones. The partners have lost its slate of directors in the annual meeting. The senior management has the asked the shareholder to not to take the tender option as it was not in the best interest of the company. Robert should not have directly approached shareholders against the decision. It might create negative image of Robert working for his self-interest and recapitalization seems to be a suicide for the company.It will not be able to sustain the leveraged recapitalization. Thiswill be discussed later. The recapitalization proposal includes a share repurchase option for management at $37 per share in cash, 16% debenture of $5 face value of 20 years and a share in the recapitalized organization. USG will generatearound $2.5 billion by three sources including loan ($1.6 billion) from banks, senior debentures ($600 million) and junior debenture ($259 million). It was also suggested that for the first five years USG will pay interest in with cash or issuing additional debentures.This will make USG financial unfavorable with a negative book value of $1.57 billion with a negative $29.06 per share. It will also result in a one-off expense for advisory work performed by Goldman Sachs and Salomon Brothers. The free cash flow analysis of both the projects shows that the most viable option for shareholders is to be able to sell shares to Desert partners. It is preferable if they can opt for $50 per share offer, which provides them with a gain of $5.37 ($50-$44) per share, assuming that the share price averages around $44 as on May 2, 1988. Similarly, if shareholders opt for $42 tender option, then they will lose $2 per share. The free cash-flow valuation for the continuing operations with the forecasted cash flows (excluding cash flows related to recapitalization plan) show a positive valuation of shares at $22 per share. It was also assumed that the company will experience a growth of 2% from 1992 onwards. Similarly, this option is again favorable by using the multiples valuation method. It gave a share value of $52 using the average from building industry player at the end of 1992. It was assumed for the calculation that the interest charge will remain fixed at the figures of the year 1987. On the other hand, the recapitalization proposal has many drawbackson the future of organization. USG is already a highly geared compared to other companies in the industry with 71% (57% as per the exhibit 8b) of total financing through debt. This plan needs $2.5billion in funds, which will increase the risks for the company by many folds. It will become highly geared and risky investment for the shareholders. The free cash-flow analysis showsa negative equity value with both the scenarios. The first scenario took into account only the free cash flows andthe second scenario considered all the relevant cash-flows associated with recapitalization process.It is forecasted to get negative share value of $9.89 and $25.18 respectively.The multiples valuation method gives a positive share price of $38 per share. It is still unfavorable compared to the tender options. Therefore, shareholders are suggested to opt for the offers from Desert Partner. They are more viable and less risky compared to recapitalization option. Even $42 tender option is a safer option for shareholders compared to option suggested by the management. The projected cash-flows are difficult with accuracy and may move from one period to another. Each additional year increases the chances of variance in the cash-flow projections due to uncertainty. The projection for over 5-10 years is mostly an arrow in the dark with just the assumption that it will hit the target. Similarly, capital expenditure depends on the management’s discretion and may change over the years. Additionally, the different methods for discount rates can also vary the results significantly. Multiples valuation method is based on the past results and they can never fully predict the future of a company.